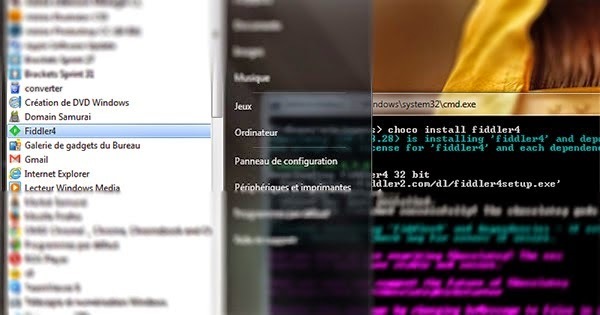 The advantage of Linux is the basic qualities download and update the software through the command line (terminal), of course, this feature keeps on search sites on the programs, as well as the speed at which you want to download the program and only one line. 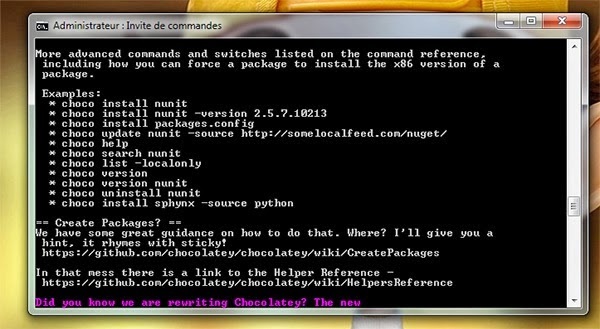 But the question is what if this feature is available in the Windows system? 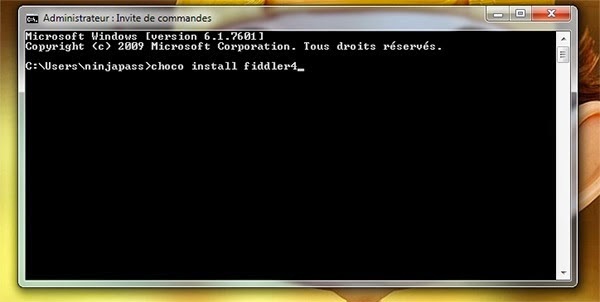 Of course nothing is impossible, so in this post you will learn on how to download and install the software in Windows completely through the command line as in Linux. 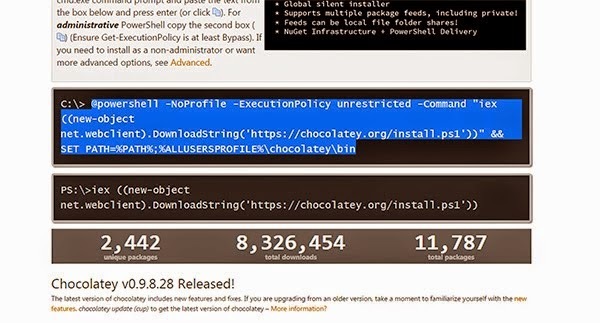 Download feature from the command line will be, God willing, by default in the next version of Windows 10, which will enable users of this system of download, install and uninstall programs and management via Windows command line via the Windows PowerShell OneGet property. But what if you are available on Windows 7 or 8.1 and you want to take advantage of this feature without waiting for the release of the official version of Windows 10? 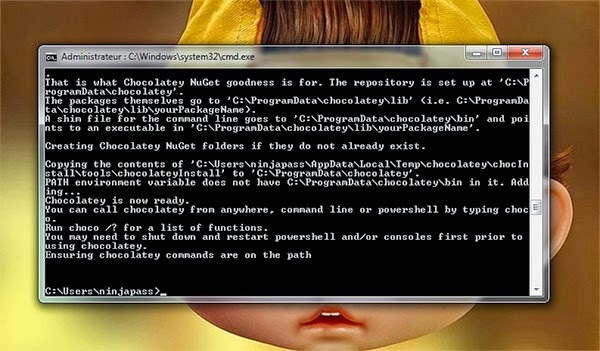 Of course the solution is the use of chocolatey, which is a virtual package is installed it is also an open source project to install the software in Windows through the command line. 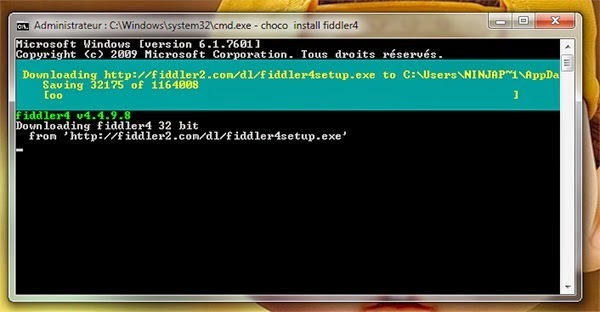 Whenever you need to download to your computer is chocolatey access to this link and then you copy the code as in the picture below and paste it in line matters window and then Enter. 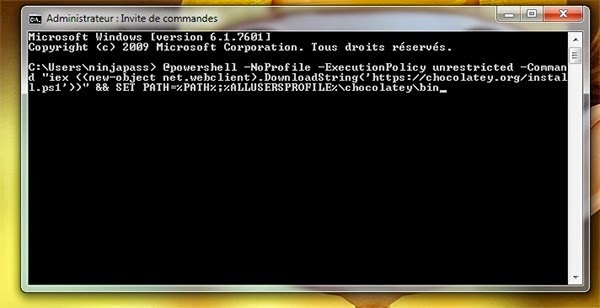 For Windows 8, you need to click, right-click the command prompt screen in the "Start", and then click Run as administrator! 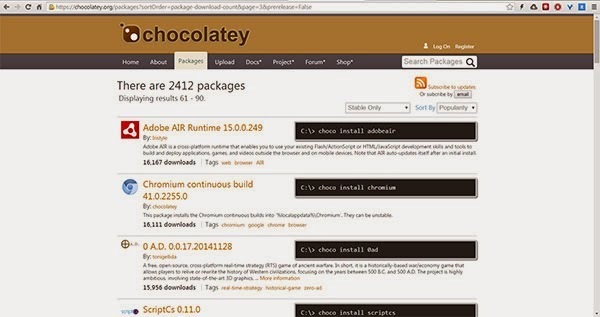 There are many Alawamralokhry that you can identify them through the official website or just implement it choco?